Yesterday I decided to make horseradish sauce, which is typically served with baked smoked pork (pečené údené bravčové mäso). So I stopped at my local Giant to pick up some meat to bake. I grabbed a 4.5lb smoked pork picnic for 8 dollars. 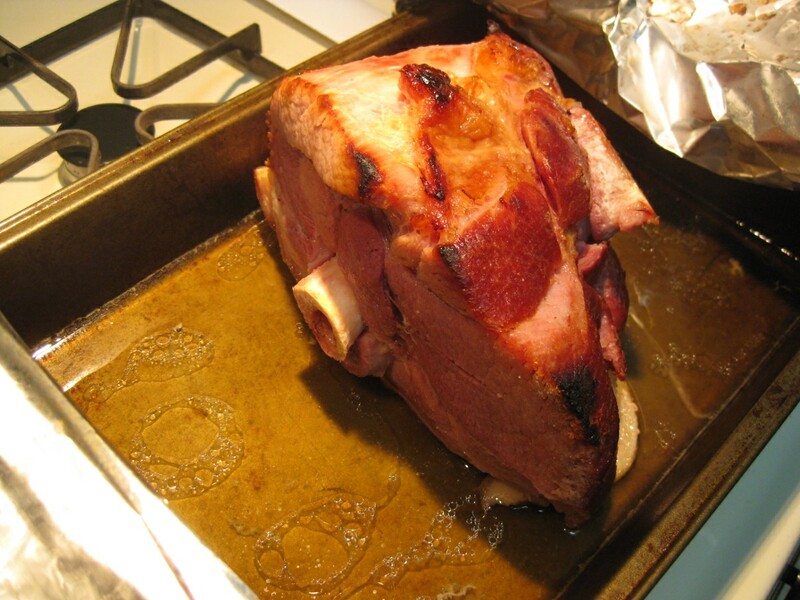 This was my first time ever baking smoked pork – heck, I didn’t even know there was a cut of pork called picnic. Turns out there is. It’s basically the front leg with the bone still left in. 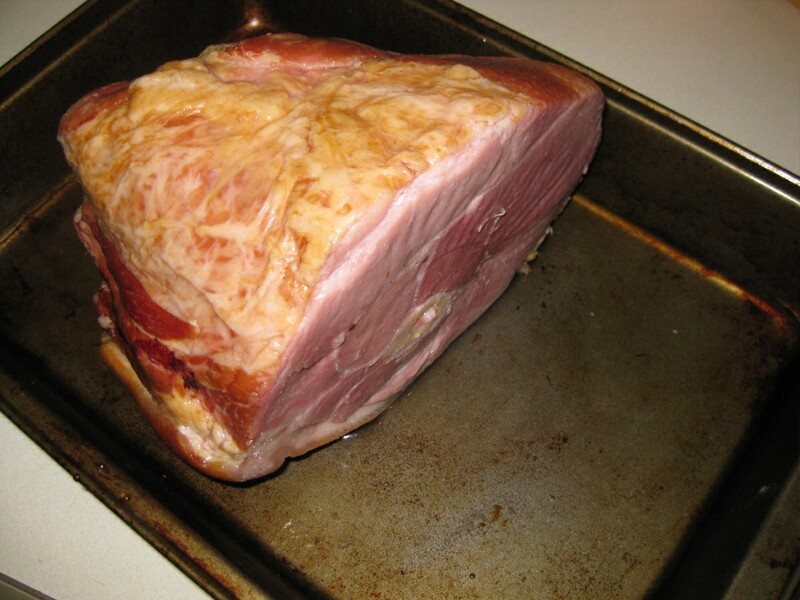 Place the pork (bravčové mäso) in a deep baking pan and add one cup of water. 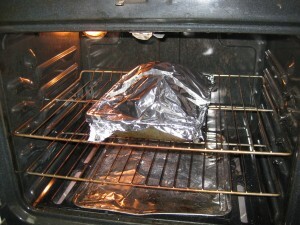 Cover with aluminum foil (alobal) and bake at 350-375F for about 20 minutes per pound of meat. 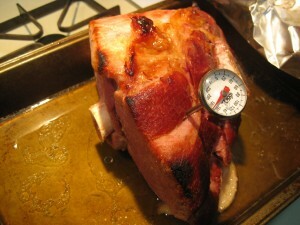 According to the cooking instructions that came with the meat, the internal temperature should be 148F. 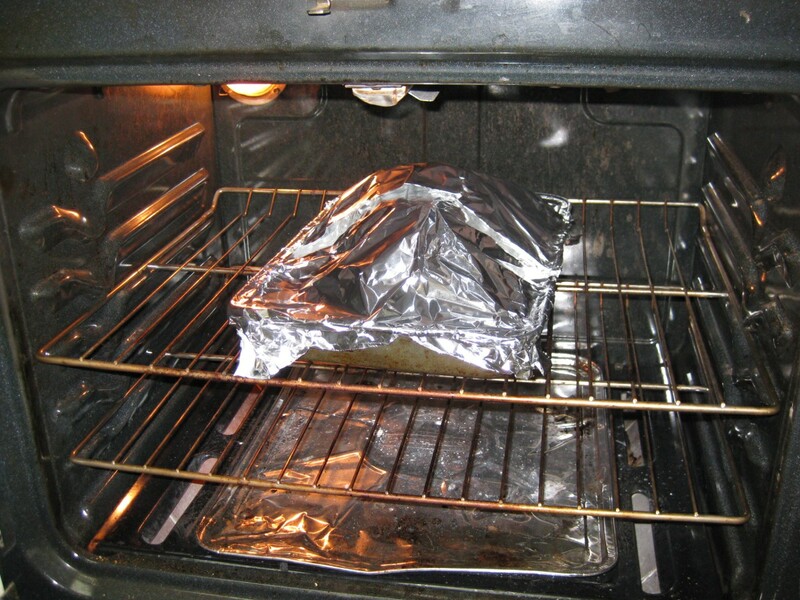 I baked mine for two hours and by then the temperature reached 170F. Boy, the taste was out of this world! It tasted like I just slayed a dragon. You can serve baked meat with potatoes, but it is especially delicious with red cabbage and a dumpling. This looks fantastic. I just have to make it. I bet it tastes incredible. Instead of water try gingerale. I am making this tonight with pig’s knees – looking forward to it!